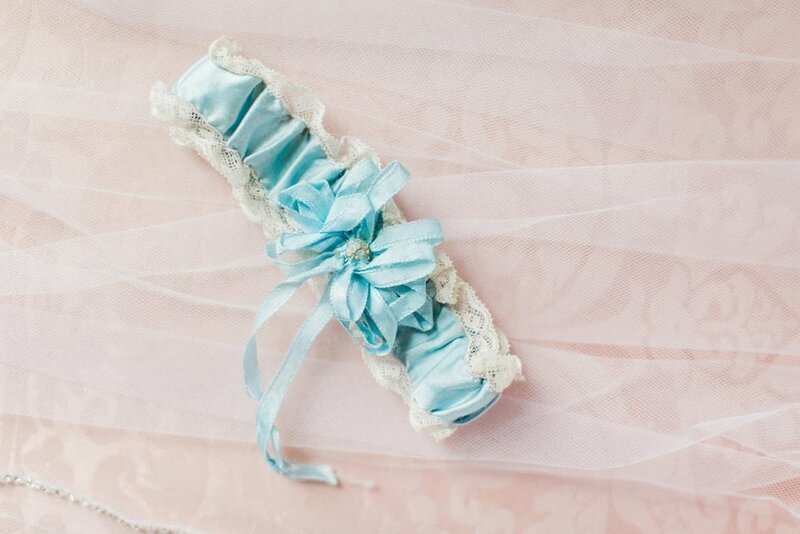 Originally, the "something old" line is said to have referred to securing protection of the bride's future baby. 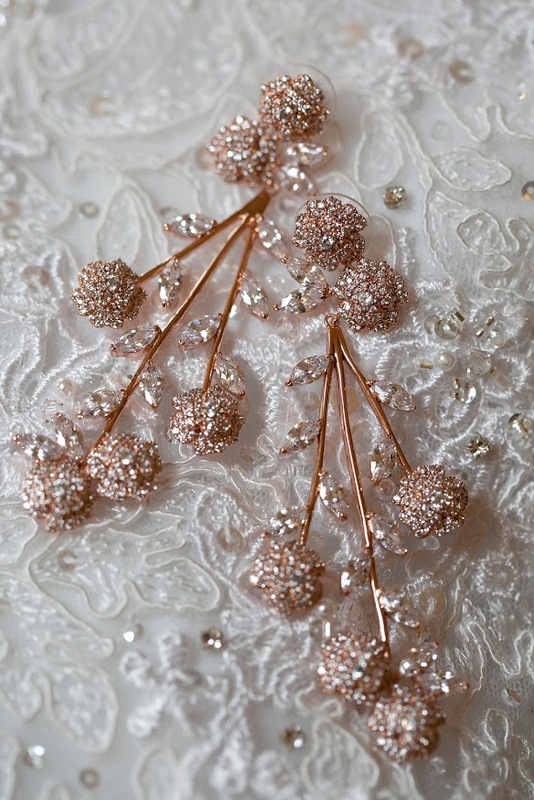 Today, many brides like to incorporate something old into their wedding to honor and connect their wedding day with their past. 1. A family heirloom, such as broach, handkerchief, or a locket you can tie into your bouquet is a very sweet gesture towards incorporating your past. 2. Taking it a step further, using fabric from a relatives gown, or altering the gown itself can show respect towards the woman who wore it first. 3. Go Vintage! A Vintage Car to make your grand exit is not only snazzy, its a great way to tie in the past. Or using a vintage luggage in your decor. A symbol of optimism and hope for the bride's new life ahead, this item should really represent who she is as an individual. 4. You are already going to have plenty of new items on your wedding day, a new dress, perhaps a new hair cut or manicure and new shoes. We see a lot of brides purchase a new perfume for their wedding day to complete their “new look”. 5. Utilize that new last name! Embroider your new monogram on a handkerchief, inside your dress or even order a custom necklace. 6. Get a new robe for yourself to get ready in. Spread the love by getting coordinating robes for your gal pals. "Something Borrowed" was originally intended to be a good luck blessing from a bride who has had a happy marriage. It would ensure the bride a happy and prosperous life with her beloved. 7. Does your sister have a gorgeous diamond bracelet you can borrow? How about those amazing pearl earrings your mother in law wears for special occasions? Jewelry is another great way to show respect towards a family member or friend and incorporating them and this saying into your wedding day. 8. Did your groom’s family or sibling use a cake topper on their wedding day? Why not borrow that for your big day as well! 9. Don’t stop at the cake topper, borrow that cake knife too! The traditional origins of this one are a little more superstition-based, but essentially the blue was to "baffle the evil eye". 10. Getting handkerchief is the perfect way to incorporate something blue, and wipe away those happy tears! 11. Sapphires! Do I need to say more? 12. Don’t forget about your feet! We LOVE when a bride takes her something blue to the streets and opts for a pair of blue heels. Wait, didn’t the title say 12 plus ways? Even though we may have some items in one category, don’t be afraid to think outside the box and see what items in one category you may have that fits into another! Maybe those blue sapphire earrings you want to wear are your moms, or get that blue handkerchief embroidered with your new name and wedding date! Do you have more ideas? Tell me below!